Chris is passionate about helping companies ranging from startups to established multinationals thrive and compete globally. His background in international business adds unique value to each client engagement. Before coming to Kafferlin Strategies, Chris worked as an international trade analyst at the U.S. Department of Commerce’sInternational Trade Administration (ITA) in Washington, D.C., where he helped investigate allegations of unfair international trade practices. As an expert in trade enforcement, he provides his clients with an insider perspective on importing to and exporting from the United States, as well as on the business environment and culture in world economic hotspots like China, India, and Vietnam. 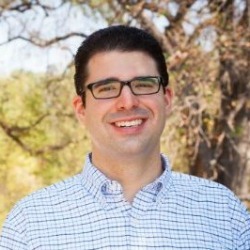 Chris has studied the organization and financial health, as well as the production, marketing and sales activities of companies ranging from small family-owned companies to large Chinese state-owned conglomerates, and observed the underlying factors that can lead a business to failure or success. His role at ITA exposed him to a wide variety of industries, including the steel, agricultural, and chemical sectors. Chris’s expertise frequently led executive-level officials at ITA to rely on his arguments to issue decisions with potential impacts in the millions or billions of dollars. His experience leading meetings with high-level government officials and corporate leaders from all over the world means that he is able to help you communicate with and influence a range of stakeholders. Chris enjoys working with both domestic and foreign clients and is uniquely positioned to understand their needs and guide them to a successful outcome.